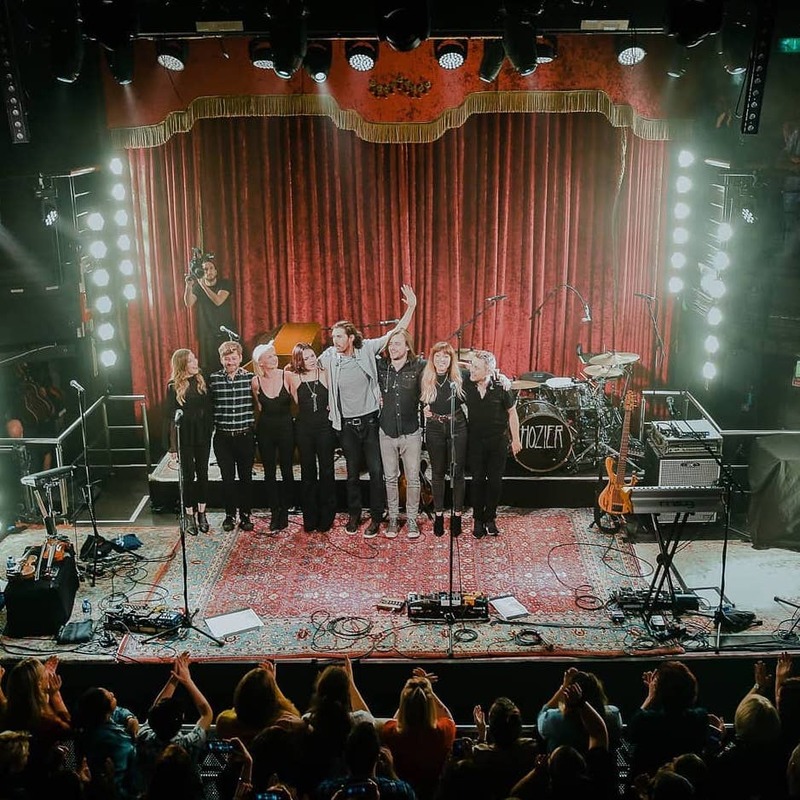 With rehearsal shows starting tonight in Dublin and a new tour kicking off in a few weeks to support a new EP, Nina Cried Power, it’s time to dive into who’s going to be in Hozier’s touring band this time around. Alex Ryan, is a multi-instrumentalist, composer, arranger, and producer. He has a degree in Music from Trinity College Dublin where he met Hozier while performing in the Trinity Orchestra. In addition to playing on Hozier’s album and EPs, while on the tour from 2013 to 2016, Alex sang, played bass, synth, and percussion. He took on the role of Musical Director and is a versatile talent to have anchoring the band. Alex spent time off-tour recording and producing Saint Sister‘s upcoming album, composing a choral piece for New Dublin Voices, and releasing new music as Black Fox Leash. He played on and arranged the orchestra on Hozier’s Better Love from The Legend of Tarzan soundtrack as well as revisiting Exchequer and Westland studios for upcoming Hozier releases. Rory Doyle, whom Hozier often introduced on stage as “the heart and soul of the tour”, will be returning to the band. In his time away from the Hozier tour, Rory has been playing on tour with his old mates in Bell X1, co-organized a fantastic tribute to Prince jam-concert, and continued on as a drum tutor at BIMM Dublin. As an in-demand session player, Rory’s been in studio with Ciaran Lavery, CC Brez, and of course Hozier for the track Better Love from The Legend of Tarzan soundtrack and his new music. Suzanne Santo first sang with Hozier as part of the alt-country-blues duo, Honey Honey, when they joined him to perform Work Song at the Bread & Roses benefit in May 2017. Honey Honey has been performing since 2006 and has released 3 albums. Suzanne has also performed in Butch Walker’s band, as well as opening on his 2016 tour. After releasing her first solo album, Ruby Red, last year, Suzanne completed her supporting tour just prior to starting rehearsals with Hozier. Originally from Cleveland, Ohio, Suzanne is also an actress and model. Update: Suzanne Santo is opening for Hozier on his Europe tour in addition to playing in his set. She will be opening for all dates excluding Vienna, Berlin, Oslo, and Stockholm (where Saint Sister will open) and Irish dates. 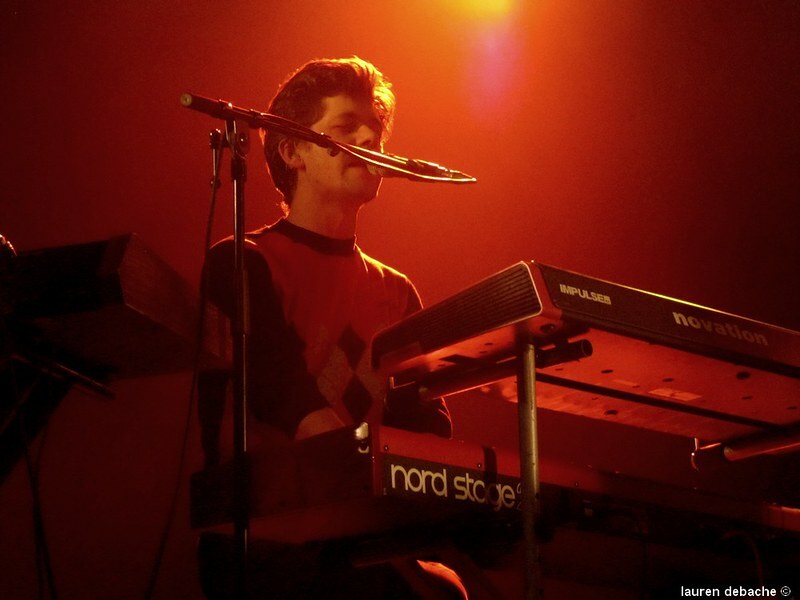 Cormac Curran is a keyboardist, composer, and arranger who has worked and toured with Lisa Hannigan, Villagers, Soak, and Cathy Davey. In 2016, two of his pieces were included in the program for the Dublin Philharmonic Orchestra’s tour of China. Cormac holds a degree in Musicology from University College Dublin and a Masters degree in Scoring for Visual Media from Pulse College, Dublin. He has won an Ivor Novello Award (with Villagers), along with 3 Mercury Prize and 4 Choice Music Prize nominations. When not touring, Cormac is a songwriting and theory tutor at BIMM Dublin. A native of Haymarket, Virginia, Rachel holds a BA (Theatre) from George Mason University. As half of duo Native Run, she has opened for Lady Antebellum and Sam Hunt. In addition, Rachel sang backing vocals on Stephen Kellogg’s to-be-released 2018 album. Transplanted to Nashville, this Rachel was introduced to the tour by the other Rachael, Lampa (Hozier tour September 2014 to March 2016). Beauregard also has a passion for yoga. Kristen Rogers is from Colorado and calls Nashville home. A seasoned backing vocalist, she has worked with Anderson East, Kid Rock, Rival Sons, and the band A Thousand Horses for several years. She is also part of the trios Vala and Damesmusic. Although Kristen has sung backing vocals for Ruby Amanfu (Hozier tour September – December 2014), Kristen came to the 2018 band on Rachel’s recommendation. We also love that Kristen names her tambourines! Jessica Berry has been making music as Thandii since 2014. Originally from London, the Margate-based singer-songwriter comes from a musical family: Her father is famed jazz bassist Steve Berry, while brother Jacob is with Two Door Cinema Club and Dan plays with Bombay Bicycle Club. Starting out as a jazz singer and previously playing in a few bands, Thandii released her debut solo EP in 2017, the dreamy and experimental synth-based, Forgetful. She recently played the BBC Introducing stage at this year’s Latitude Festival. Update: Thandii’s single, Another One, was released by Danger Mouse’s 30th Century Records on 16 October 2018 while she was touring North America with Hozier. Want more from Hozier’s Guitars? Follow us on Twitter, Facebook, and Instagram. Tagged Alex Ryan, band, Cormac Curran, Kristen Rogers, Rachel Beauregard, Rory Doyle, Suzanne Santo, Thandii, tour. Bookmark the permalink.